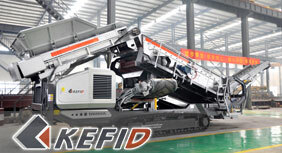 Mobile crusher is developed according to novel series stone crushing equipment’s design idea, which expands the concept field of coarse crushing and fine crushing. Its design idea is based on the client’s requirements, which clears faults of the crushing place, surroundings and the complex basic configurations. 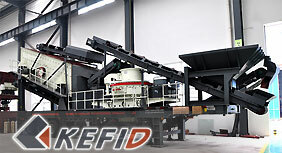 This series mobile crusher plant really supply simpler, higher efficient and lower cost machines for clients. 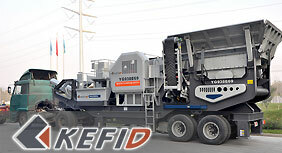 Kefid designs and builds Mobile Crushing and Screening Plant to meet today's high demanding of flexibility and efficiency. 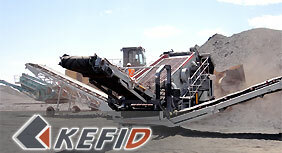 We offer a wide range of mobile crusher plant (portable crusher plant) for use in primary, secondary and tertiary applications with production capacity from 30 to 720T/H. 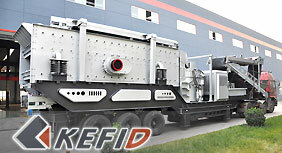 Available in wheeled type mobile crusher, tracked mounted mobile crusher form,to creat more profits for our clients in America, Indonesia, Australia, Russia, and Middle-East,South America and Africa countries. 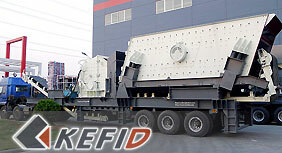 Kefid Machinery Co.,Ltd is a leading company specially involved in the manufacture and sales of large-scale crushers and industrial mill. 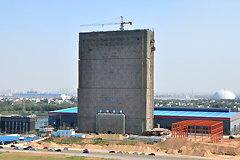 Located in a historic and famous city Zhengzhou, central China, covering 70 thousand square meters, investing in 210 million, Kefid will become one of the largest crushing and grinding production base.Lots of mobile crushers,crushing plants and grinding mills will be produced here and sold to the customers worldwide.